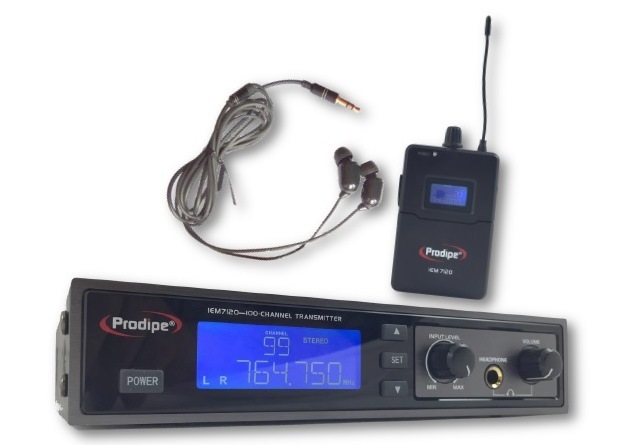 In-Ear Monitors IEM 7120 Prodipe Wireless system. 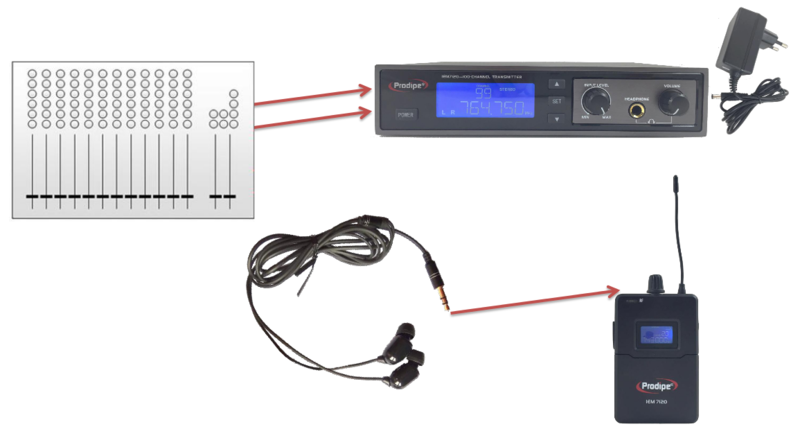 A UHF personal system (100 frequencies) for simultaneous use with up to 10 other systems. The sound is pure and 100% fidelity to the source. Specially designed for people on the move. Receiver + Body Pack + Headset. Simultaneous use of 10 receivers. Great Sound - NEW Frequency range: 626 - 668MHz. Retail Price - Prix Client : 407,61 CHF tax incl. Our job is to come up with products that offer irreproachable quality. And as always this has been our aim for the IEM 7120. With the help of Ludovic Lanen, we've created a UHF personal system (100 frequencies) for simultaneous use with up to 10 other systems. Includes a rack-mountable, solid and reliable metal receiver, boasts an 80m operating range and meets French ANFR standards. Frequency range: 626 - 668MHz (100 chanels). "I participated in the development of Prodipe 7120 IEM system and this new product fully meets my quality criteria. We've been in this business for more than thirty years now and we respect it so much that we would never put our names to products that can't provide the quality we want."